Well, it's a new year, and everyone is offering personal organization tips. So here's mine. Organizing the "Tupperware" drawer seems to be a big issue for people. I know it was when I was a wee bromeliad. Mom had many a meltdown while trying to find a matching lid for the container she had just dumped food into. 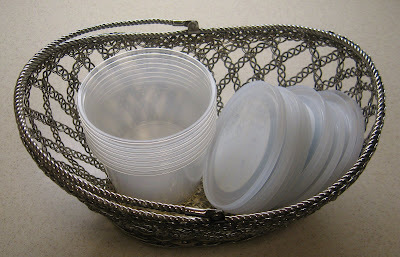 We had a whole drawer just for plastic containers, but sooner or later, half of them would end up on the floor while mom riffled through the pile looking for a match. 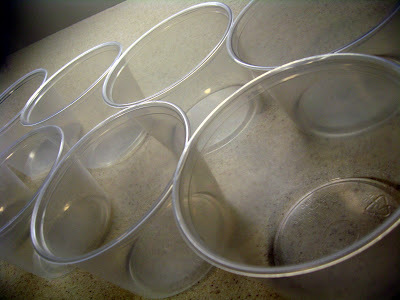 To this day, I associated plasticware with hopelessness. I now live in 500 square foot apartment, and I can find a top for my bottom with my eyes closed. That's because I run a communist dictatorship. This works. Don't knock it. Or as Karl Marx might put it: From each according to his ability, to each according to his lid.